SPEC is a very young company. It was started by its owner, SPEC Corporation, in January 2010. 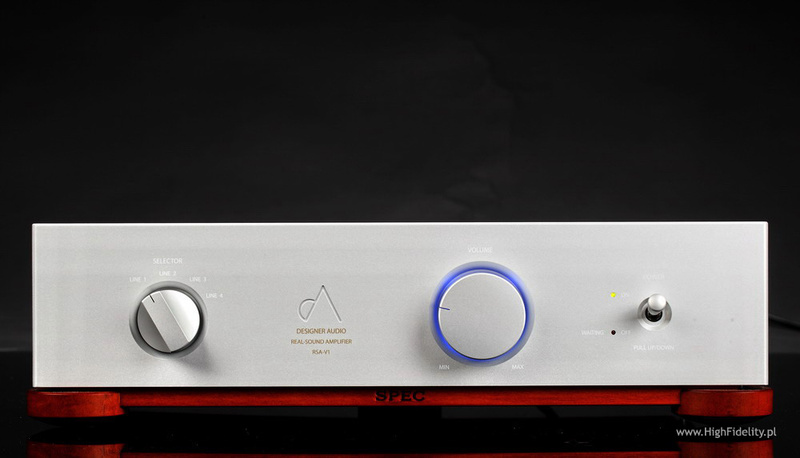 The pretext for that was the launch of the SPEC RSA-F1 integrated amplifier , known in the specialist audio literature as the REAL-SOUND AMPLIFIER , as well as the RSP-101 filters mounted on loudpseakers, called REAL-SOUND PROCESSOR. I mentioned the latter in my editorial Small dreams in the 90th issue of “High Fidelity” (HERE). These little boxes have proven to be so cool that I have kept them as a partner to my Harbeths M40.1. It was, however, only a foretaste of what SPEC had to offer. 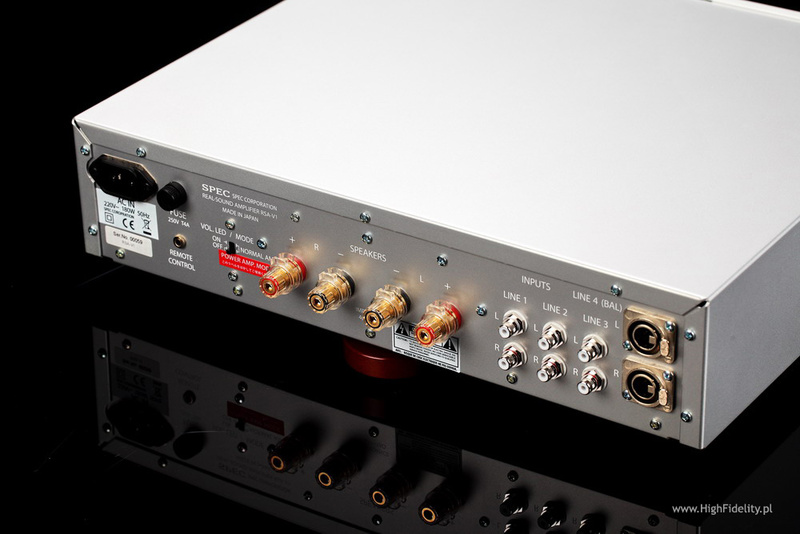 For although their offer also includes oil capacitors and audio equipment racks, they concentrate on amplifiers. It began, as I say above, with the RSA-F1, to be later joined by the RSA-M1 and the RSA-V1 that we review today. They all share the same concept: the best possible adaptation of an analogue amplifier, operating in Class D. In order to achieve this, the amplifiers feature the fine, oil capacitors from Arizona Capacitors, Inc., being modern replicas of the vintage WEST-CAP capacitors, together with a sophisticated power supply and ultra-short signal paths. And of course, housing that combines metal and wood. ∙ "safe" power switch, used in aircraft cockpits. We came into this brand, because we have grown these amps sound like it. I believe that you too will love. We like the philosophy which stands behind it. Constructor, Mr. Koichi Yazaki is enthusiastic about the sound tube, 300B amplifiers. 38 years uses a very good amplifier of this type, the amplifier of your project, which over the years added improvements to help him get closer to the "ultymatywnego" sound. What is happening but he could not tell you is very low power of such structures, which precluded the use of columns of low efficiency. To achieve this, to get as beautiful, deep sound and high dynamics, decided to combine the analog and the latest power amplifier with a PWM pulse. 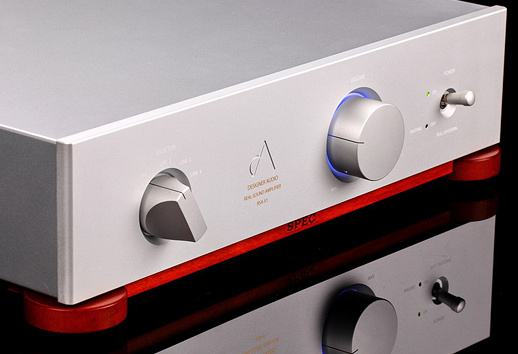 Therefore, during the exhibitions in Japan SPEC amplifiers are often confused with a tube amp. How can we sum it up? Maybe like this: the SPEC amplifier is an analog design, operating in class D, with NOS components, and enclosed in a housing combining wood with aluminum. Its sound was intended to closely match the sound of the 300B tubes amplifier, adding to that large-scale and power. Let's see how it translates into reality. Blade Runner, soundtrack, muz. Vangelis, Blade Runner Trilogy, 25th Anniversary, Universal, UICY-1401/3, Special Edition, 3 x CD (1982/2007). Exodus, Supernova, Polskie Nagrania/Metal Mind Prodictions, MMP CD DG 0405, CD (1992/2006). Jean Michel Jarre, Magnetic Fields, Epic/Sony Music, 488138 2, CD (1981/1997). Jimmy Smith and Wes Montgomery, Further Adventures of Jimmy and Wes, Verve/Universal Music [Japan], UCCV-9359, SHM-CD (1969/2008). Michael Jackson, Thriller. 25th Anniversary, Epic/Sony Music Japan, EICP 963-4, CD + DVD (1982/2008). Nosowska, 8, Supersam Music, SM 01, CD (2011). Sara K., Don’t I Know You From Somewhere?, Stockfisch, SFR 357.6055.2, CD. Wes Montgomery, Incredible Jazz Guitar of…, Riverside/JVC, VICJ-41531, K2 CD (1961/1999). Japanese editions available from . The SPEC amplifier is an ultra-minimalist device, featuring only a volume control knob and an input selector, without any remote control, etc. That is, you can order the remote control as an option but it is realized in a quite specific way. More on this later, in the section on the amp design. 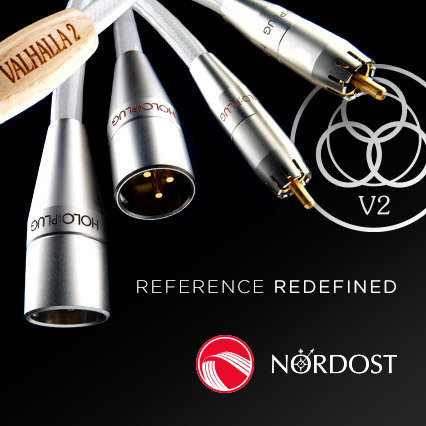 The RSA-V1 comes from a small, specialized manufacturer, known only to experienced audiophiles. It is the result of love for music, which you can both see and hear. Its mechanical design combines heavy, metal enclosure with several types of wood. And finally – it has a rather distinctive sound, as if designed to work with my Harbeths. Does it ring any bell with you? No? Or perhaps it does – how about the Lavardin Technologies IT-15 amplifier? Please, take another look at the review; it will be our important reference point. Although, generally speaking, these two devices appear to sound a totally, completely different. Decomposing their sound to a set of prime factors, we get a group of often contradictory elements. And yet, after assembling it back together, and connecting the amps to the speakers of the kind of Harbeth or Spendor we get a comparable musical message, evoking similar emotions. Although, let’s repeat it once again, using a set of different tools. I auditioned the SPEC RSA-V1 in two completely different sound systems – my own, reference system, and also at the Nautilus audio shop in Krakow, together with the Accuphase DP-510 CD player , the Dynaudio Special 25 Signature Edition speakers and the Purist Audio Design cables. With each of the systems the amplifier sounded different. The system with the Dynaudio and the Accuphase proved that the amplifier delivers an extremely precise and exceptionally pure sound. I also very quickly realized that it seems not to be limited by any output power restrictions, because not only did it excel at showing deep, dynamic bass, but also well-differentiated dynamics. However, all that time I had the impression that this show-off did not convey a coherent message; that all we see is a frame on which the sound is built, not a complete, finished project. This only happened for me back home, with the Harbeths. As Mr. Hontai said, one of the companies that decided to use SPEC amplifiers during their loudspeakers presentations is the Japanese Kiso Acoustic. Is it a coincidence that the HB-1 speakers from this manufacturer garnered two awards from me based on my auditions during the High End 2011 show in Munich: Best Sound High-End 2011 and Red Fingerprint (report HERE)? And that the speakers were driven by our reviewed amplifier? I do not think so… It was a well though-out system, showing in which direction to go. The sound I heard after hooking up the RSA-V1 with the Harbeths M40.1 was nothing short of spectacular. It is probably, or rather almost certainly the first amplifier operating in class D that I know of where the technology not only doesn’t prevent it from achieving a high quality sound, but instead in many ways it improves it, simply creating its grandeur. With the Dynaudio speakers and the Purist wiring, I had an impression that it lacked some fullness in the lower midrange and that the upper midrange was a bit too forward. As it is known, class D amplifiers are (almost always, though there are exceptions) sensitive to the speaker cables and crossover design. The latter constitute a part of the low-pass (reconstructive) filter in the output (amplification) section of these devices. That was perhaps the reason why the amp’s audition at the Nautilus, while it floored me to some extent (its sheer power, clarity, precision, etc. ), was not fully satisfactory. I did not “buy it”. With my Harbeths and Tara Labs speaker cables the Japanese amplifier played a different tune – showing beautifully saturated, almost warm sound with a very strong, solid bass foundation. It might seem for a moment that the treble is slightly withdrawn and softened, which is part of the class D amps “trademark sound”, but after prolonged listening and subsequent return to the reference system I found it hard to confirm. It was more like a foreboding shadow. For the cymbals sounded very, very, very convincing – they were both rich and full, somewhat “tube-like”, as heard from a good 300B amp. I.e. neither withdrawn nor warm, but just right – natural in their weight, texture and density.